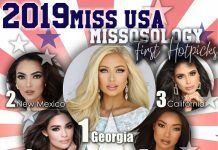 There are countless of international pageants out there and a lot of them claim that they are big, grandslam, major or whatever. But what makes a Big5 pageant a Big5 pageant? Well, a Big5 pageant cements its status as a major international beauty pageant by its ability to grab headlines. This is particularly true when the newspapers of the winning countries decided to splash the news about the Big5 winners on their pages. Take for example the highly acclaimed daily in the Philippines called the Philippine Daily Inquirer. 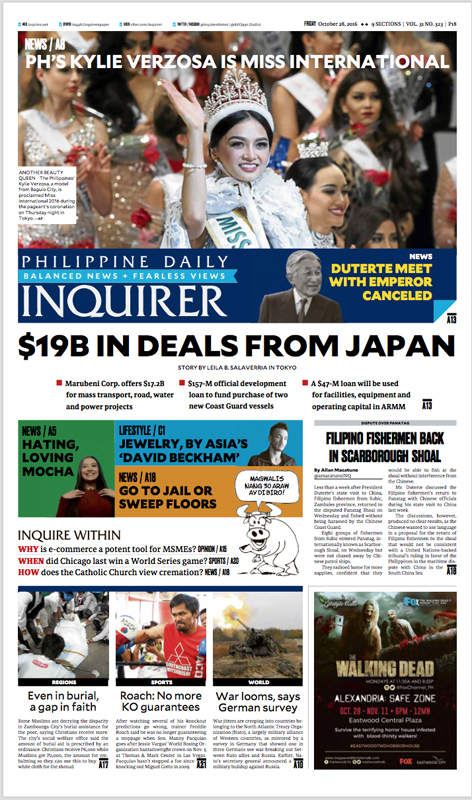 On its October 28, 2016 issue, the victory of Kylie Verzosa at Miss International 2016 took the center stage, just above the news about the $19b deals that the Philippines sealed with Japan when their president made a state visit. In the December 4, 2016 issue of the Sunday Times, which is basically the Sunday edition of the Times of India, Srinidhi Shetty was on the headlines after winning the Miss Supranational crown. 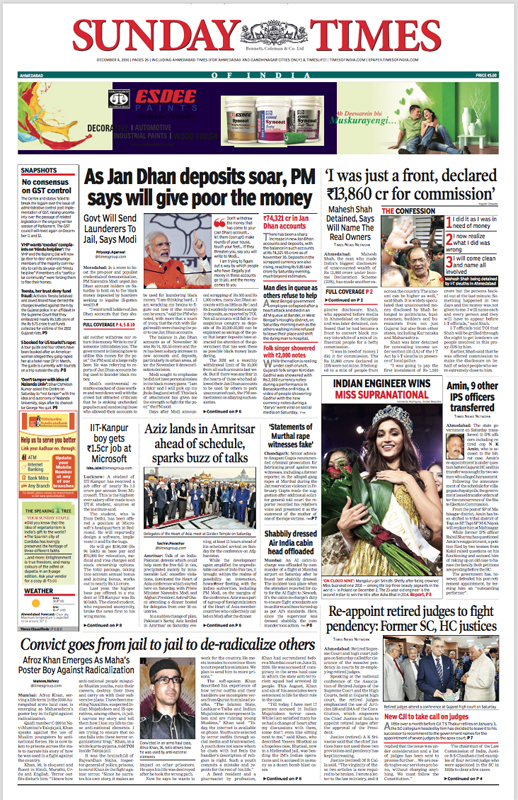 There were issues about the money laundering and demonetization of high value paper rupees but the newspaper reserved some space for their Miss Supranational victory! 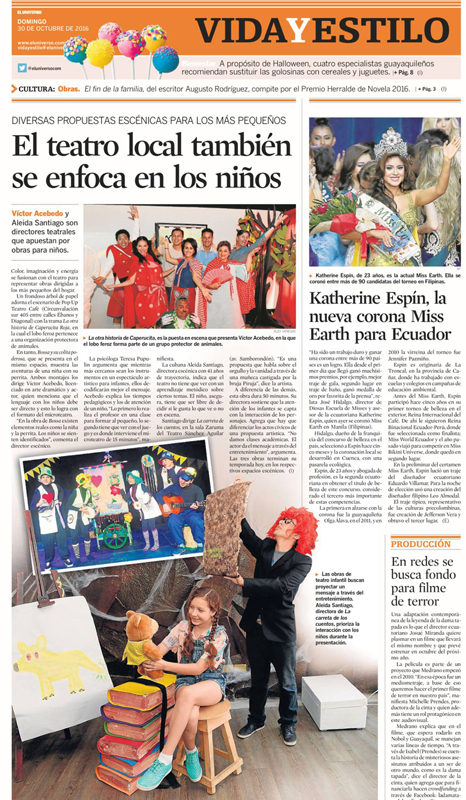 Miss Earth 2016 Katherine Espin also grabbed the headlines of major Ecuadorean newspapers. One of them is the highly circulated El Universo newspaper who decided to give Katherine the center stage in it’s Sunday Life and Style published on October 20, 2016. 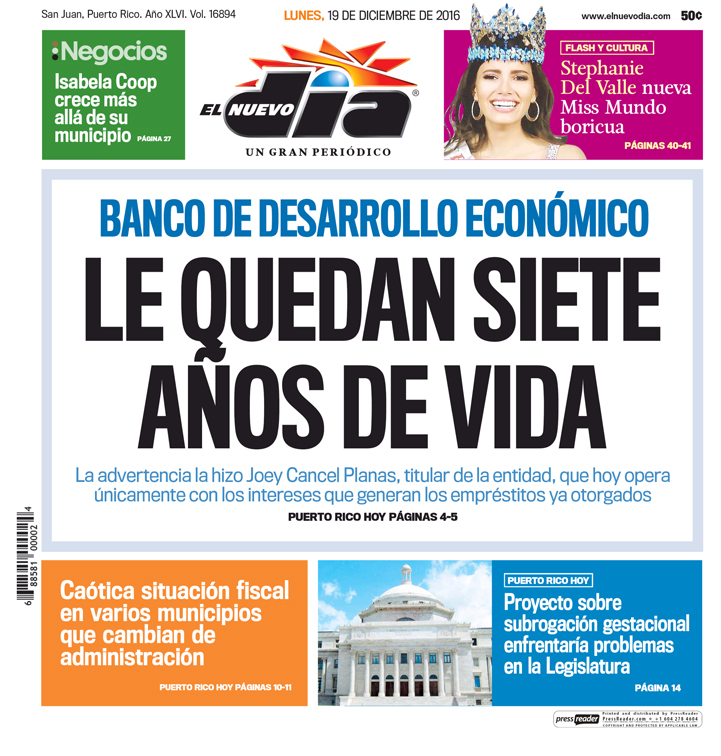 Meanwhile, El Nuevo Dia, the leading newspaper in Puerto Rico, was tackling the issue about the country’s Economic Development Bank dire financial situation but they still gave the victory of Stephanie del Valle a headline treatment. In fact, the Miss World 2016 winner took the center stage in its December 19, 2016 Flash y Cultura supplement! In France, the victory of Iris Mittenaere came at the heels of the country’s victory at Handball World Championships and the election of Benoît Hamon as head of the Socialist party. 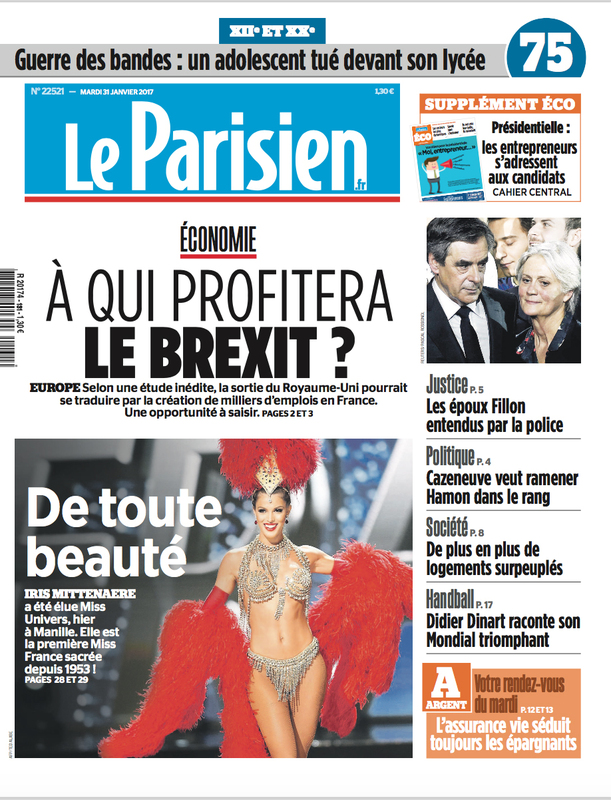 Still, it did not stop Le Parisien, a newspaper as ubiquitous as Parisian cafés, to splash its front page with the photo of Iris donning her Moulin Rouge national costume. The January 31, 2017 issue dedicated two full pages for Iris Mittenaere. It looks like the newspaper, as well as the rest of the country, is truly happy that the second Miss Universe title has finally been achieved.